We tend to chew mostly on our back molar teeth. The upper indented surface of these molar teeth are well suited for chewing. The large indentations work well to break up food. Unfortunately the smaller indentations in our molars tend to retain food particles, and can be difficult to clean. This leads to decay. Luckily there are preventive measures. The use of dental sealants can help prevent the cleaning difficulties with back molars. Dental sealants are applied to the chewing surface of molar teeth to fill in the smaller spaces and indentations. This prevents food and debris from getting stuck in the teeth, while leaving the tooth large indentations unaffected. Dental sealants have been shown to be very effective in reducing damage to the upper surface of molar, providing that they remain in place. Normally these sealants will remain on the teeth for five years or more, after which time they will usually be replaced. The dentist will inspect the sealants on each regular dental visit to determine if a replacement is required. 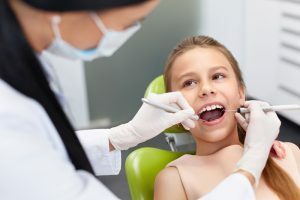 Children usually receive sealants when the permanent teeth first come through. Occasionally adults also benefit from sealants, or from having their former childhood sealants replaced. Sealants will only protect the top surface of the teeth. Teeth must still be brushed and flossed. Food stuck between the teeth must be removed lest it cause decay issues. Talk to your dentist about sealants for back teeth.